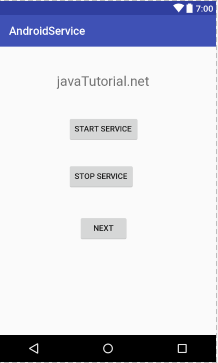 This tutorial explains services in Android, its life cycle and gives example of how to create a service. Android service is very different concept from Android activity. 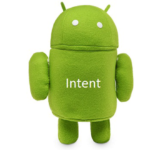 It is the concept of Android app development. Let’s discuss it. Services are used to implement or to perform background operations running in our app. It is an application component used to perform long running important background tasks such as playing music, downloading a file or performing a network transaction. As services run in background so it don’t have any user interface unlike activities. It allows us to enable multitasking in our application. Services continue running in the background although the application is closed or the service finishes it’s job or is explicitly stopped. So it has higher priority than inactive apps. You can also set it priority same as the running foreground task. Let’s discuss types of services. 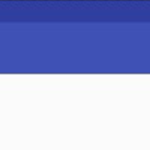 There are three different types of services in Android. Scheduled: A service is scheduled in an API like jobScheduler then it is called scheduled service. The system checks jobScheduler and execute service at the appropriate time. Started: If a service can be started by the application component then it is called started service. 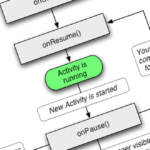 Activity calls startService() method, then it runs in the background. Normally this service performs single operation. Bound: If an application component binds a service to bindService() then it is called bound. It has a client server interface which allows component to interact with the service. Android service life cycle is completely different from Android activity. 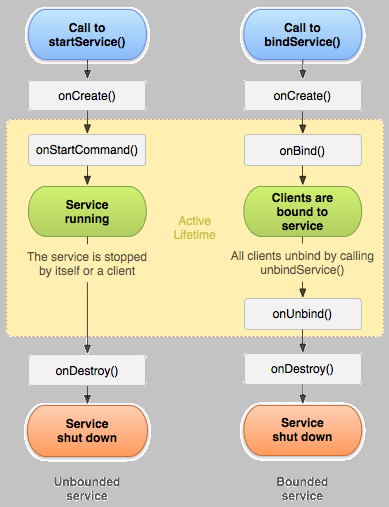 Life cycle of an service can be different if it is created with the startService() or created with the bindService(). Following diagram shows both life cycles. Let’s discuss call back methods of service life cycle. OnStartCommand() method is called when startService() is used to create a service. Service stars running in the background after the execution of this method. If you created a service by using this method then stop it by calling stopSelf() or stopService() method. OnBound() method is used if service is bounded. Other components use this method to bind themselves with the service. OnCreate() method is used for the creation of service. OnDestroy() method is used to destroy a service. You can download code from this link. Android Android, Android Studio, example, life cycle, service, types of service. permalink. 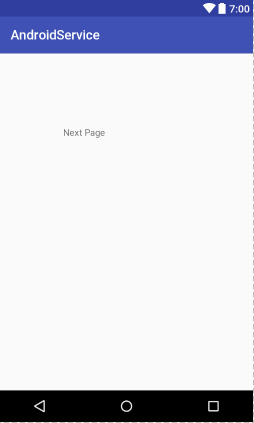 I think android manifest is missing. How to declare the second activity?